President Uhuru Kenyatta is on Tuesday morning; 2nd March 2019 expected to launch the roll out of the National Integrated Identity Management System (Niims) — dubbed Huduma Namba in Masii town, Machakos County. Kenyans will have their data captured in biometric kits. This is after a pilot project was done in Kisii, Kisumu, Wajir Nairobi, Uasin Gishu, Kajiado, Baringo, Marsabit, Embu, Makueni, Busia, Nyandarua, Kiambu, Kilifi and Tana River counties. According to the Interior Ministry, 31,500 kits have been distributed in readiness for the mass rollout next month covering the country’s 8,500 sub-locations. After registration you will be issued with a Huduma number (namba). This however does not invalidate other registration processes like (Registration for ID or birth certificate). It only assists in issuing persons residing in Kenya with an identity number that will pinpoint them across all sectors of government by just typing the number. The launch comes after the High Court declined to suspend the exercise following a suit filed by three human rights organisations.The three-judge bench however warned against compelling Kenyans to be registered to get the new identity number.The judges also cautioned the government against taking DNA samples from those being registered. Pending the determination of the case, the Interior Ministry was also barred from sharing information collected during the exercise with any organisation for any reasons.The petitioners, who had wanted the courts to suspend the exercise argued that the condition restricting access to government services without a Huduma Namba is a violation of fundamental rights protected under the bill of rights. The NIIMS system, is meant to aid the Kenya National Bureau of Statistics in accessing data during the census scheduled for August 2019. 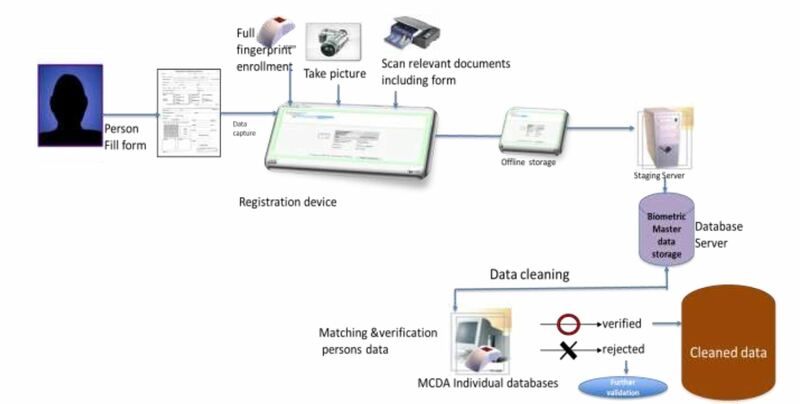 The master population database will be the single entity with all personal information of all Kenyans and foreigners who have acquired citizenship.Biometric data means unique identifiers or attributes including fingerprints, hand geometry, earlobe geometry, retina and iris patterns, voice waves and DNA samples. The system will require data for all Kenyans aged six and above, and foreigners living in the country.NIIMS will integrate GPS monitoring for persons applying for new identification cards as they will be required to provide information about their postal address, land reference number and plot or house number. Huduma Number (Namba) is a number provided through NIIMS registration that is the ‘source of truth’ of identity of all persons residing in Kenya. Unlike a national ID or birth certificate that is issued to only Kenyan Citizens, Huduma Number will be issued to all persons residing in Kenya, be it refugees or foreigners.Is it Must to register at NIIMS for Huduma Number? Registration for a NIIMS for Huduma Namba (Number) is currently not done online because you are required to present yourself physically. Go to your sub chief office or sub county office if you cannot locate any registration center near your (2017 Voting Centre). In Nairobi CBD, go to the nearest Huduma Center for registration.